New TAC Book Out Now! 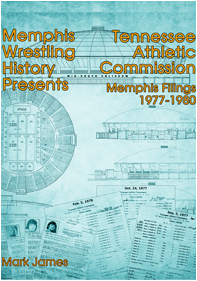 'Memphis Wrestling History Presents: Tennessee Athletic Commission 1977-1980' Is Available! 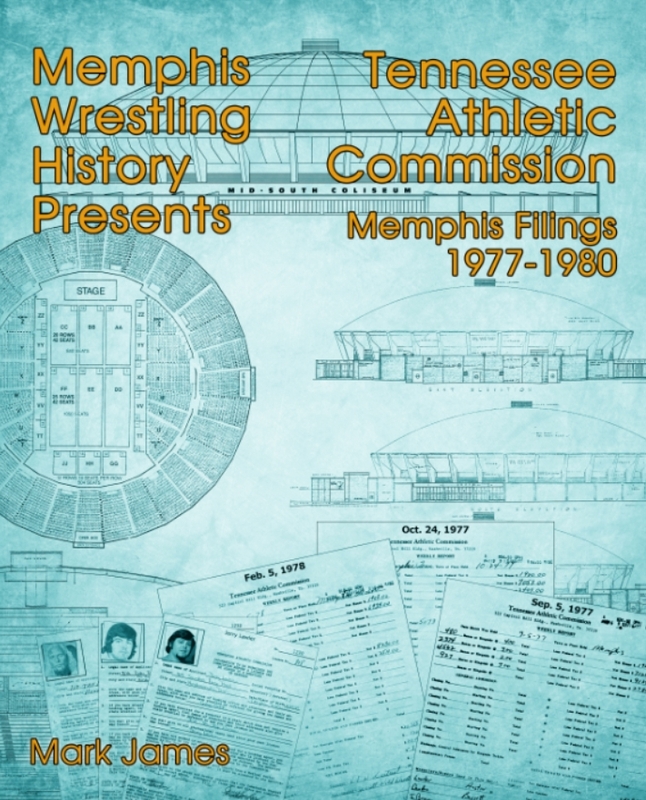 Mark James' latest release is a look into the never before seen records of the Tennessee Atheltic Commission from 1977 through 1980. All the available records were taken directly from the Tennessee State Library And Archives in Nashville, TN. These records show the true attendance numbers, actual tickets sold and the wrestler rosters for that card. The reason these numbers are accurate is the Memphis Mid-South Coliseum also was required to turn the ticket sale info to the state. So the form the promotion turned in, had to match what the Coliseum also turned into the state. The card rosters also help in establishing the identity of the masked wrestlers that passed through Memphis. Another bonus included in this book is the wrestler applications that were required by the state. If you didn't have a Tennessee wrestling license, you weren't allowed to wrestle in the state. Lastly, each card listed has an original photo courtesy of the legendary Jim Cornette.